Well known for their large heads of flowers which cover the plants during the summer and make an amazing show. 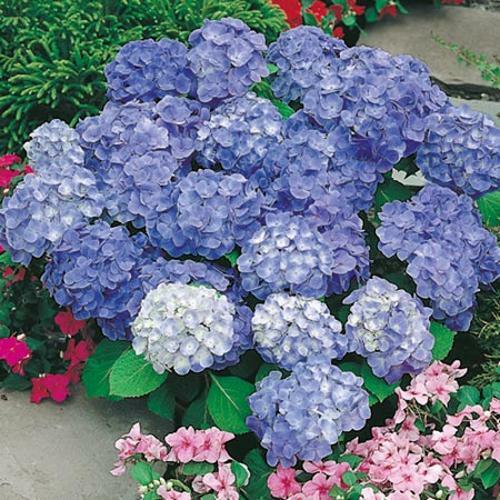 The flowers can be blue or pink depending on the acidity of the soil. The more acidic the soil is, the deeper the blue your flowers will be. Flowers July-October. Height 1.5-2m (5'-6'6"); spread 2.-2.5m (6'6"-8'). Supplied in a 3 litre pot.